If you or someone you know has suffered a serious injury, contact us now on 0800 014 9565 for free, impartial advice about making a claim. Serious injuries have a devastating, life changing effect on both the person injured and their loved ones. Serious injuries include those associated with accidents that result in head and brain injuries, amputations, spinal injuries and high impact burns. Serious injuries may also be caused by medical negligence. 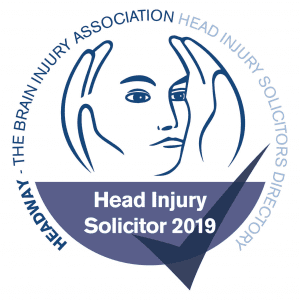 TRUE Solicitors are one of Headway’s and the Brain Injury Group’s dedicated head injury solicitors in the North East. TRUE Solicitors has a team of lawyers who specialise in serious injury claims. Their experience and expertise can help you to obtain the maximum compensation in the shortest possible time. We handle all serious injury claims on a No Win, No Fee basis. What should I do if I have suffered a serious injury? If you’ve suffered a serious injury, as a result of somebody else’s negligence, it is strongly advisable to seek legal advice at your earliest convenience. Contact our specialist Serious Injury team on 08000149565 or start your claim by filling in the enquiry form below. • The severity of the effects of the medical negligence. To get an idea of the compensation that you could receive for any physical injuries that you have suffered, please use our compensation calculator. Can I make a serious injury claim on behalf of someone else? If your child has suffered serious injuries as a result of an accident that wasn’t their fault, you are able to make a claim on their behalf at any time after the accident occurred and before they reach the age of 18. After which, the child has up until the age of 21 to make a claim themselves. You can also claim on behalf of those who don’t have the mental capacity to make a claim themselves. You can claim on their behalf at any time after the accident has occurred. You have up to 3 years from the date of the accident, or from the date in which you were aware of your injury, to lodge a claim with the court. As noted above, exceptions to this rule include children and those who are mentally incapacitated to make a claim themselves. What is the process for making a serious injury claim? Initial Assessment: Your Serious Injury solicitor will carry out an initial assessment via telephone, in which they will ask you a series of questions relating to your accident, to establish who was at fault (the defendant) and the extent of your injuries. Gathering Evidence: Should you instruct TRUE to act as your solicitor we will then gather the evidence needed to support your claim. This typically includes obtaining medical reports, photos of your injuries and contacting any witnesses (if necessary). Arrange for medical/rehabilitation treatment: We will arrange high quality medical treatment as early as possible to help you to recover from your injuries without delay. We will also arrange for after care and rehabilitation to help you with home adaptions, physiotherapy and special treatment, if required. Quantifying your Claim: Your solicitor will calculate an approximate compensation figure based on your current and future losses of earnings, pain and suffering, medical expenses, current and future care costs and any specialist equipment or home adaptions that may need to be made. Letter of Claim: A letter of claim will then be sent to the defendant or their insurance company. The letter will confirm details both of the defendant’s negligence and the extent of your injuries. The defendant has 21 days to respond to the letter. Settlement: If the defendant accepts liability, and there is no dispute regarding the severity of injuries, insurance companies will typically prefer to settle the claim as early as possible and out of court. Your TRUE solicitor will negotiate with the defendant’s solicitor to work out the final compensation figure. If your case is extremely serious and the defendant doesn’t accept liability you may have to go to court in order to reach a resolution. TRUE Solicitors will select a specialist barrister to represent you at court. How much will it cost to make a serious injury claim? TRUE Solicitors operate on a ‘No win, no fee’ basis, so you will only pay us if your claim is successful. Our charges are dependent upon the individual case, and are typically a percentage of the compensation that we obtain for you. The fee will be no more than 25% of your compensation and is frequently less.